According to a January 2017 study by Caring.com, 6 out of 10 adults do not have a Will or Living Trust. Planning for incapacity or death is uncomfortable for the vast majority of people, but it is critical to managing your assets and protecting yourself and those you love. People often think of estate planning mostly in terms of the documents that are generated: wills, powers of attorney, living wills, trusts, etc. Most people are focused on minimizing taxes and perhaps avoiding probate, overlooking some of the most important decisions and opportunities available to them to impact the lives of others after they are gone, including protection of assets from a beneficiary’s creditors and predators. To help clients implement their new estate plan, Empowered Legacy Planning offers enhanced trust funding services. Trust funding is a critical element in successful estate plans, and ensures that your assets will pass the way you intend. This firm is one of only a handful of estate planning practices that provides this valuable service to clients. When using a trust-based plan, it is imperative to properly fund your trust after its creation, as well as to regularly review and update titles and beneficiaries of your assets into the future. A trust-based estate plan does not provide the desired benefits if assets are not properly titled or beneficiaries properly designated. If you have acquired new real property, left a job, or changed financial institutions, since you planned with our office, it’s time for a thorough review to ensure these assets will pass the way you expect upon your death. All trust planning clients who take advantage of our funding services are automatically enrolled in our trust maintenance program, known simply as the ELP Maintenance Program, for a complimentary period. 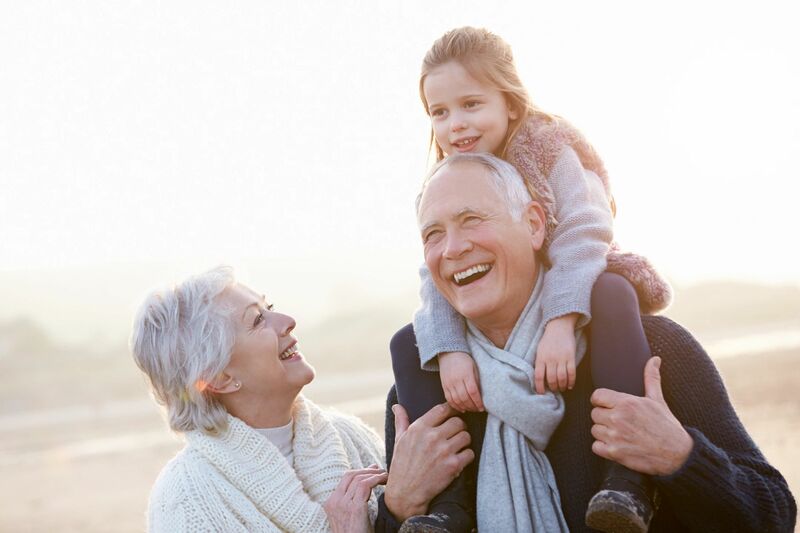 In the Empowered Legacy Maintenance Program, clients have several opportunities for ongoing education, are given continued funding support, and receive updates of their estate planning documents to address personal changes, as well as changes in the law—all in an effort to ensure their estate plan works the way they intended. Empowered Legacy Planning is here to help you create your legacy, which will allow you to enjoy your life, your wealth, and your family with the peace of mind that your estate plan is firmly in place, is being actively maintained, and will be successfully settled in the future! Your legacy is that which you have thoughtfully and purposely created for your family and those you love, and includes your values and beliefs, not just your assets. We provide you with the tools and processes to turn your “snapshot” of what you’d like to see happen when you are gone into reality. A Will provides your instructions for where your assets should go when you die, but it does not avoid probate. Assets titled in your individual name for which you have not named direct beneficiaries will be subject to the provisions of your Will and the probate process before they can be distributed to your beneficiaries. You may also name guardians for your minor children in your Will. You do not need be “wealthy” to have a trust. A properly funded living trust can avoid the probate process. Unlike a Will, a trust provides your wishes for use of your assets during your incapacity, as well as distribution of assets upon your death. After you die, assets can stay in your trust, managed by the trustee you select, held for younger beneficiaries and loved ones with special needs, or to protect assets from beneficiaries’ creditors, future divorces, and spendthrift habits. This document names an Agent to manage your personal financial affairs. It can be effective immediately or only upon incapacity. Often very broad, financial powers of attorney allow your Agent to do almost anything you can to manage your assets, including your digital assets. Health Care Powers of Attorney, Mental Health Powers of Attorney, Living Wills, HIPAA Authorizations, and Do Not Resuscitate Orders allow your named helpers to make health and mental health decisions for you when you cannot make them for yourself, set forth your wishes regarding end-of-life decisions, and provide access your protectied health care information. Designed for disabled beneficiaries, special needs trusts allow you to transfer assets to your disabled loved one without impacting his or her eligibility to needs-based public assistance programs. Under current law, whether or not an inherited IRA will be creditor protected will depend on the beneficiary’s domicile. As an alternative to naming a specific person as beneficiary, Retirement Trusts can be established to hold the inherited IRA and to provide additional protection against a beneficiary’s exposure to creditor risk. Do you want to leave a gift to a special charity after your gone? Do you need additional income, but are concerned about paying capital gains taxes on highly appreciated assets? Are you worried about estate taxes? There are many charitable planning options available to meet your goals, whatever they may be. We can help. For many of our clients, their pets are members of the family. While surviving spouses, children, and other loved ones can speak for themselves, our pets cannot. There are many ways to plan for the care and well-being of your pets should you become disabled or die. From a specific distribution naming someone to assume responsibility and care of your pet, to extensive pet trust planning, we encourage you to address this critical issue. If left to chance, your pet may end up in a kill-shelter when you can no longer care for them.